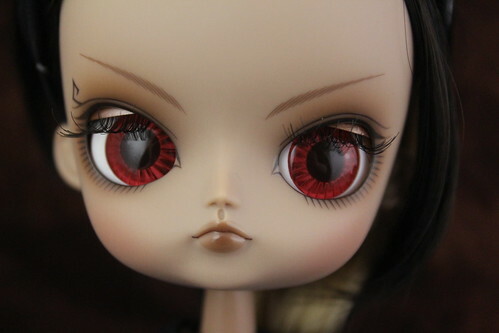 Katoya is an original release by Ars Gratia Artis. 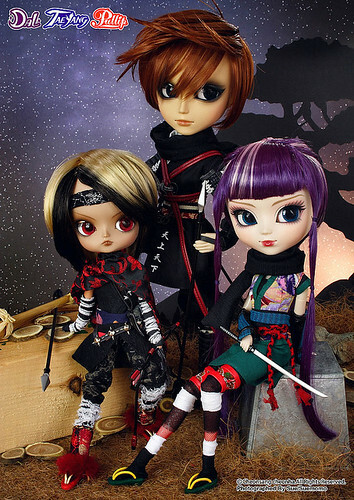 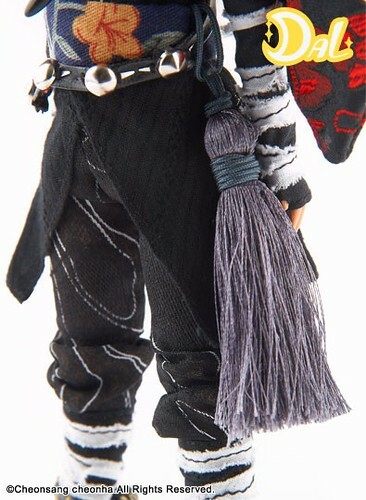 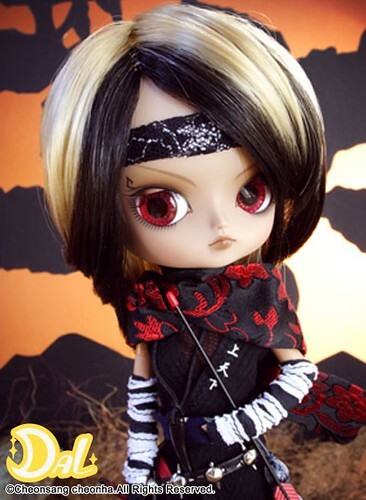 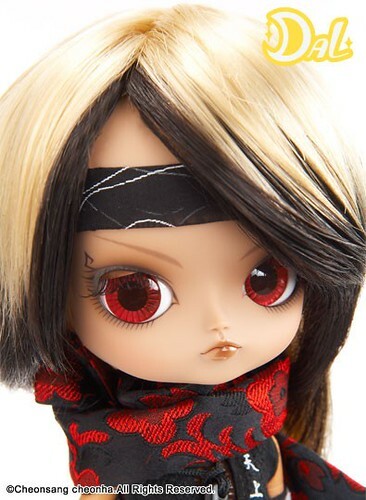 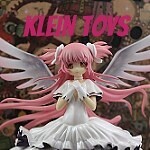 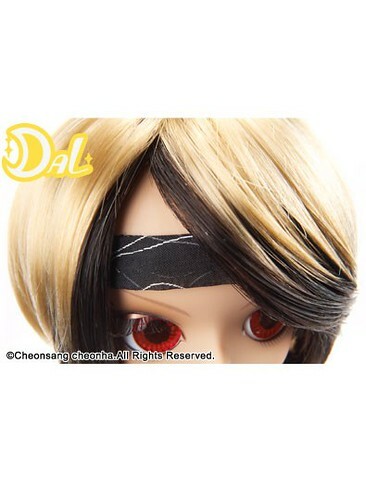 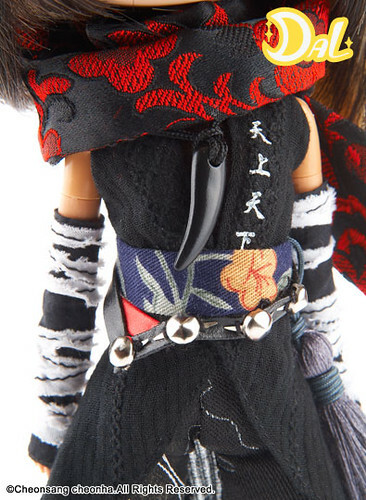 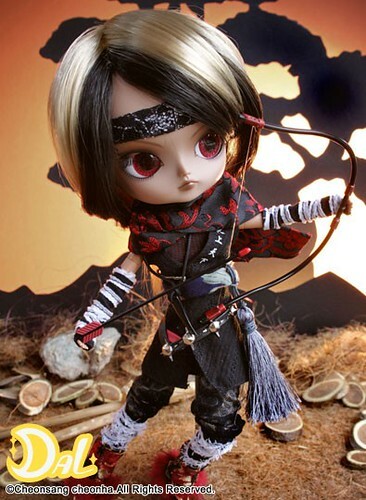 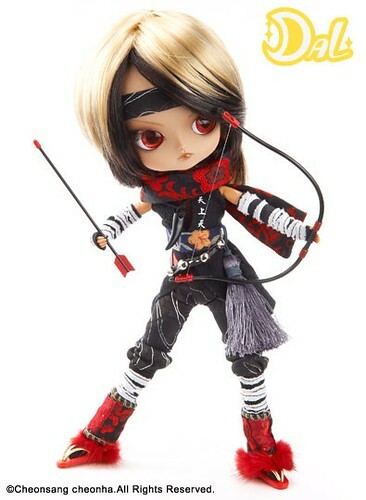 She was released alongside fellow dolls Pullip Akoya and Taeyang Arashi in December of 2010. 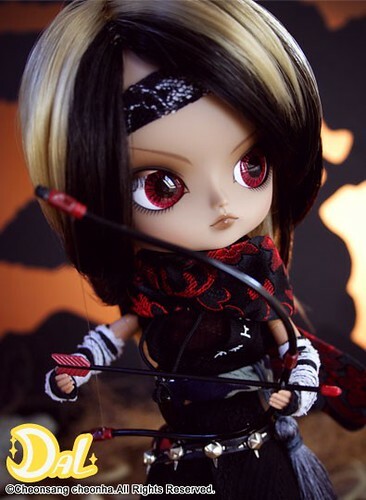 Feel Like So: Unlike my gentle look when I’m up in the sky, I am really a skilled archer !! 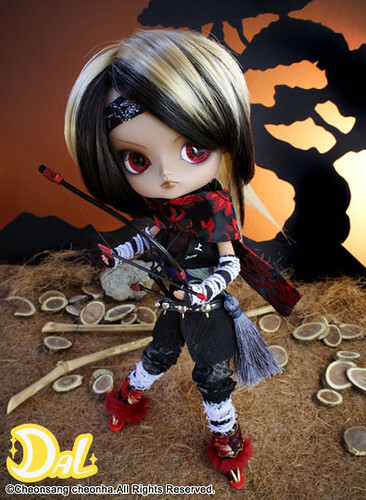 Stock: Katoya’s stock outfit consists of a headband, muffler, kimono, tops, pants, leg warmer, arm warmer, waist band, belt, leg accessory, tabi, getta, bow, arrow, dagger and necklace. 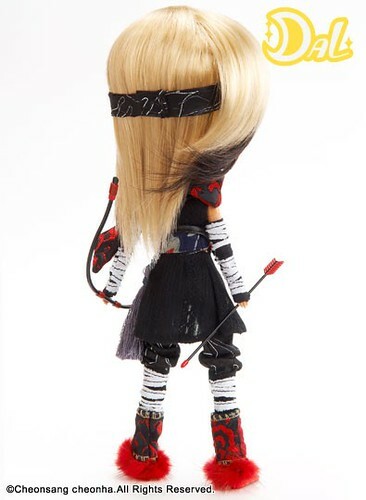 Please note I forgot to include the arrow and the dagger. 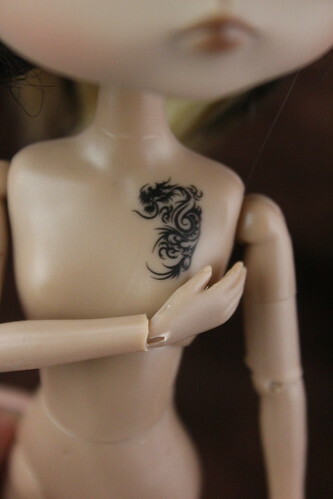 Special notes: Katoya has a lovely tan skintone and a dragon tattoo. 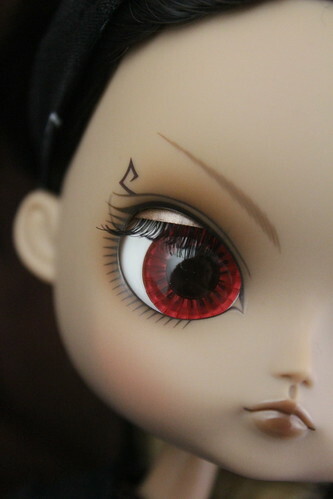 Known Issues: Possible staining issues, she comes prewrapped in plastic.